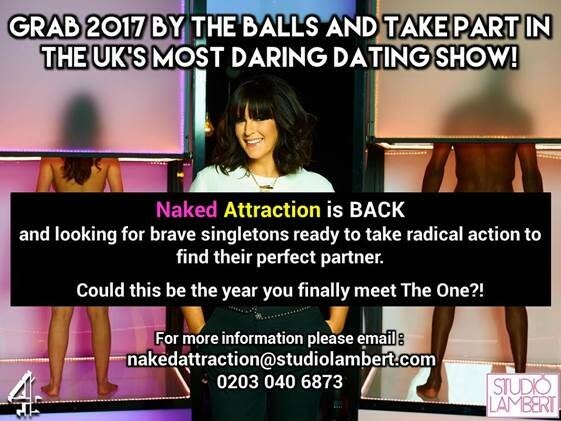 CHANNEL 4’S NAKED ATTRACTION IS COMING TO THE SOUTH WEST AND WALES TO FIND THE UK’S MOST DARING SINGLETONS WHO WOULD BE WILLING TO BARE ALL TO FIND THE ONE! We are so excited to be coming down to the South West and Wales to find fun, energetic and confident singletons who would love to be a part of the much anticipated second series of Naked Attraction. There is no limit on gender, sexuality or body type –as long as they’re over 18 and looking for love then we want to speak to them!